For use with Big Sur grills. If you always thought that grilling chicken was too time consuming, consider a rotisserie kit. You won't have to stand around constantly slathering barbeque sauce on to keep it moist and tender. With a rotisserie kit, you can thread the chicken or other cuts of meat onto the spit and slide the meat forks to hold it in place. Then turn the heavy-duty motor on and let the rotisserie do all the work for you. The counter balance guarantees that it will still be working when you return. 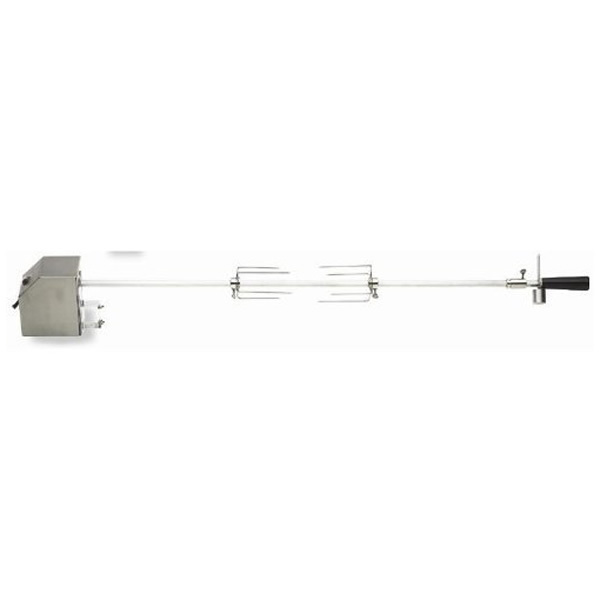 This replacement rotisserie kit is for use with the Big Sur series of grills from PGS.